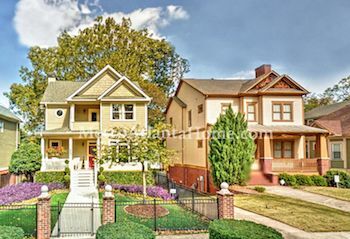 Old Fourth Ward arguably has the most interesting and colorful history of all the neighborhoods in Atlanta. Old Fourth Ward, like many intown Atlanta neighborhoods, declined in the early to mid-1900s and only began gentrification in the 1980s. In recent years, construction has intensified, and now the Old Fourth Ward is a real destination for people of all races, young and old alike. Some of Old Fourth Ward’s western blocks were developed just after the Civil War. This makes the neighborhood one of the oldest in the city. Piedmont Avenue and Downtown Atlanta border Old Fourth Ward to the west, and Poncey-Highland and Inman Park lie to the east. Boulevard is the central street, running directly from Ponce de Leon Avenue to DeKalb Avenue. Old Fourth Ward is also home to several parks and outdoor spaces, including Freedom Park and Trail, Central Park, Historic Fourth Ward Park, and many others including dog parks and skate parks. 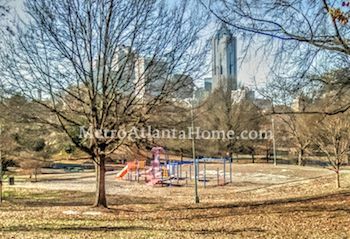 The Beltline makes exercising and visiting adjoining neighborhoods easy and is a great way to tour the city of Atlanta. The Beltline currently snakes through the neighborhood, bringing an influx of new residents to the area. Old Fourth Ward is also home to the Martin Luther King, Jr. Historic Site; King was born and raised in the neighborhood. The Masquerade, formerly a mill, is now a music venue. The Jimmy Carter Library and Museum calls Old Fourth Ward Home. 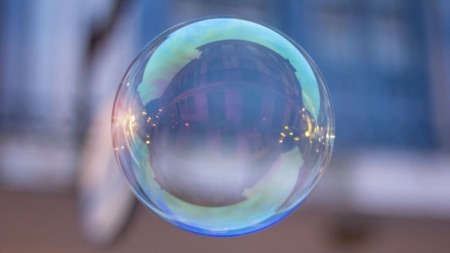 Numerous festivals take place in Old Fourth Ward each year, including the Old Fourth Ward Arts Festival and the Sweet Auburn Springfest. 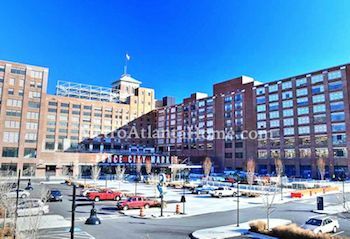 Ponce City Market, formerly City Hall East, has revitalized the area between Ponce de Leon Avenue and North Avenue. Dozens of small restaurants, bars, markets, and galleries have opened to much acclaim, and farmers markets have sprung up seemingly overnight, bringing fresh and local produce to residents and visitors alike. One of the most popular choices for home buyers in Old Fourth Ward are condos and lofts. From old mansions that have been divided into separate residences to factories and mills converted into lofts, there are plenty of options to purchase a unique home that makes a statement. 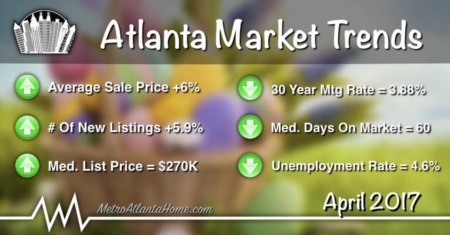 There are some that argue that Old Fourth Ward is the best place in Atlanta to live. Plan a visit and see for yourself.